 Vans » Sarasota Yellow Cab of Sarasota, serving your need for taxi, van, medical transport, limo - Need a cab, taxi, cab, wheelchair van, party van call Yellow Cab of Sarasota today! Yellow Cab of Sarasota can have a driver pick you and your family or friends up anywhere, and any time. Our vans are clean and our many drivers will take your family or party anywhere you would like to go. Avoid the risk of getting a D.U.I. and have everyone be safe and secure in the hands of Yellow Cab of Sarasota! People call us all the time on the weekends for a safe ride home after being out with friends. Our van drivers can pick you up and come back later to get your party, or they can stay with you for the night. Our vans can seat up to 14 passengers at a time, and if your party is larger than 14 we can send multiple vans or an additional van, taxi/cab, or sedan to pick up the rest of your party. For the best service please try to call us in advance if you can to accommodate your parties needs. Again we are available 24/7 365 days a year. We can deliver you van service anywhere you need a ride from and make sure you get there on time. So if your in Sarasota, Bradenton, Venice, Siesta Key, Casey Key, Longboat Key, Palmer Ranch, Anna Maria we will be happy to come pick you up and service all of your needs. Please call us today at 941.955.3341. We are waiting for your call day or night! If you need IMMEDIATE pick up service call 941.955.3341. This form is only to be used if you have 24 hours or more before you need to be picked up.